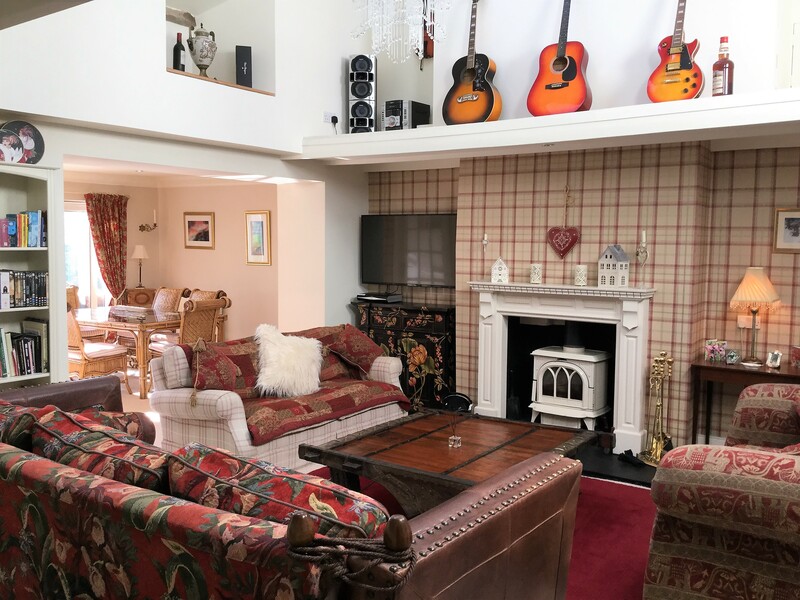 The property is a substantial stone fronted terraced house which has undergone extensive refurbishment and modernisation by the current owner. 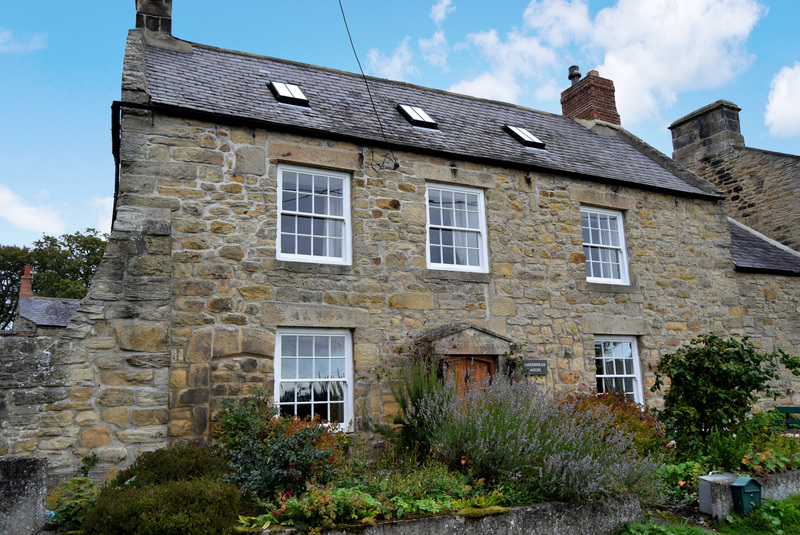 This imposing house offers well-proportioned rooms with many of the original features in place. 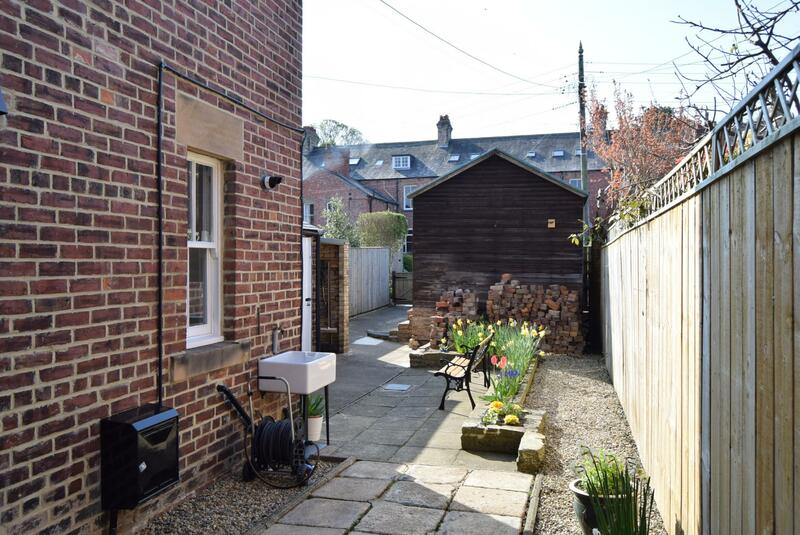 This is an ideal family home within walking distance of the facilities and amenities of Hexham town centre and enjoys gas fired central heating throughout. 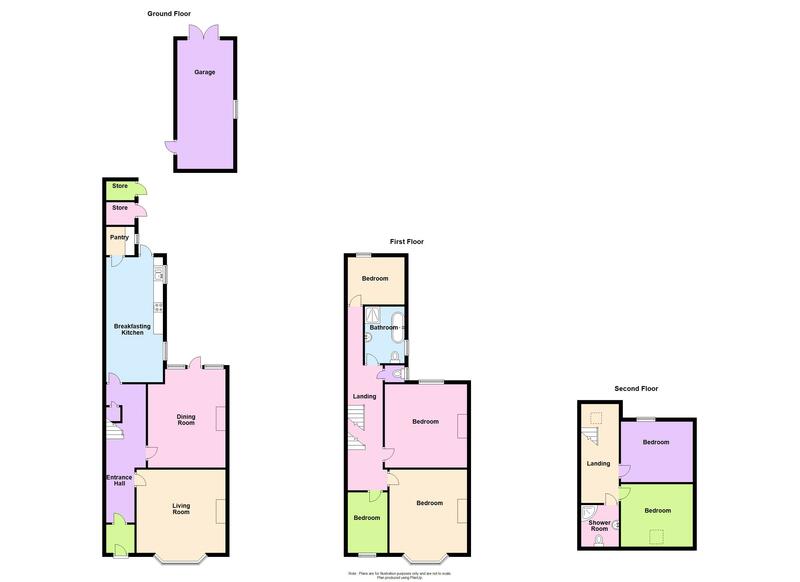 We strongly recommend an internal inspection in order to fully appreciate what is on offer. 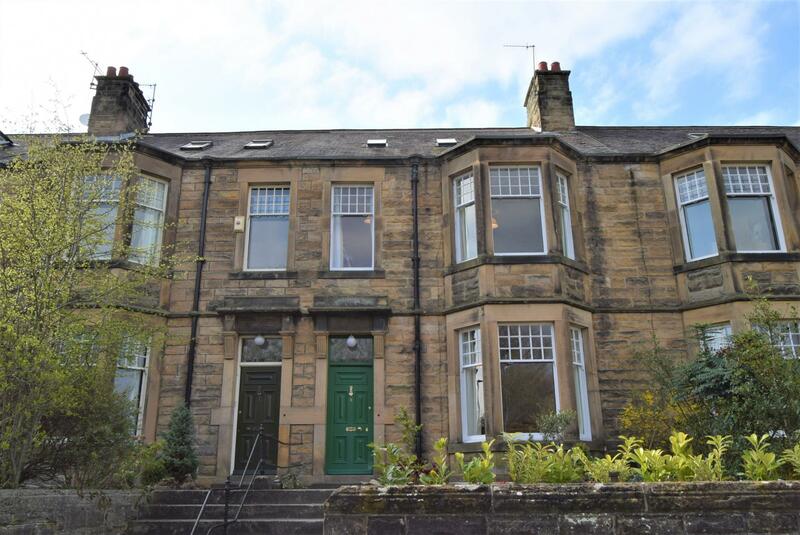 The property is a substantial stone fronted terraced house which has undergone extensive refurbishment and modernisation by the current owner. 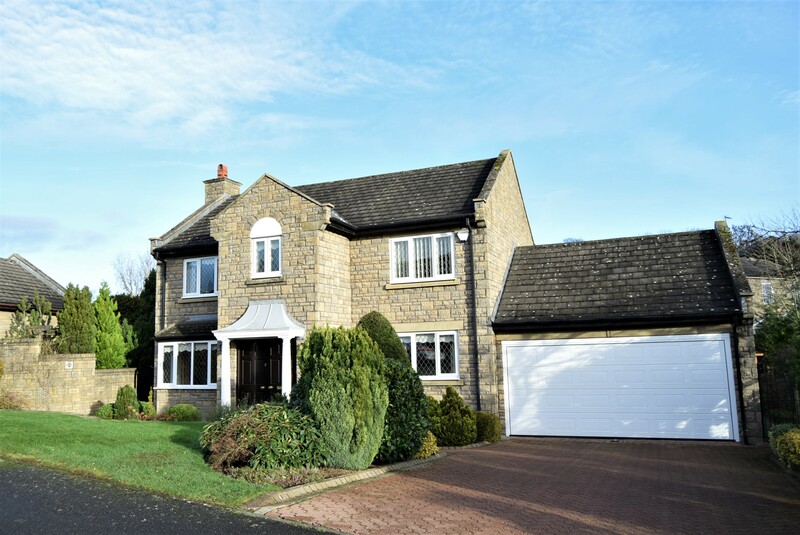 This imposing house offers well proportioned rooms with many of the original features in place and comprises entrance lobby, large reception hall with ornate staircase, a light and airy living room with a bay window to the front and a feature tiled fireplace, a superb dining/sitting room with an impressive black marble fireplace, a spacious breakfasting kitchen and a utility/pantry. 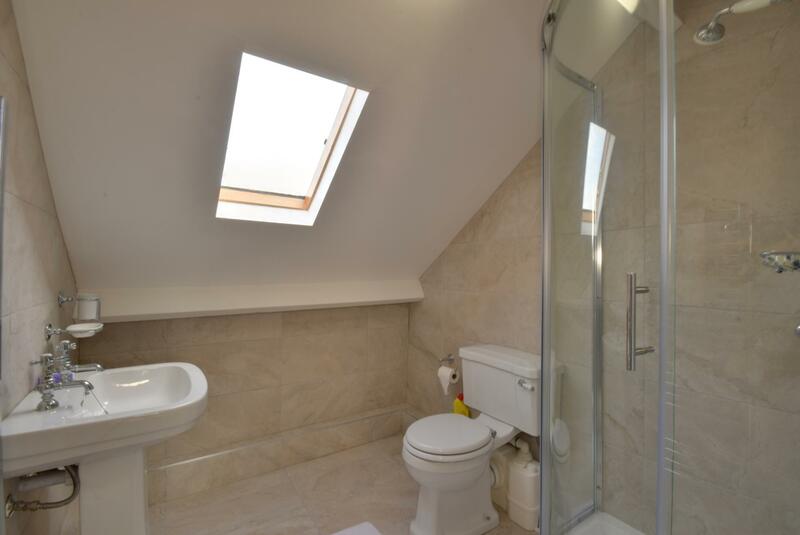 Upstairs the landings provide access to the main bathroom with an additional separate toilet and four bedrooms. 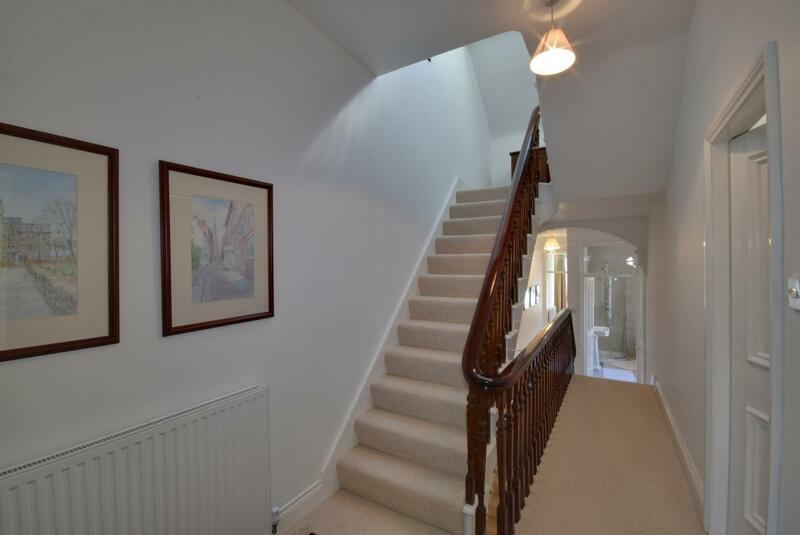 A further staircase leads up a landing which provides access to two further bedrooms and a shower room. 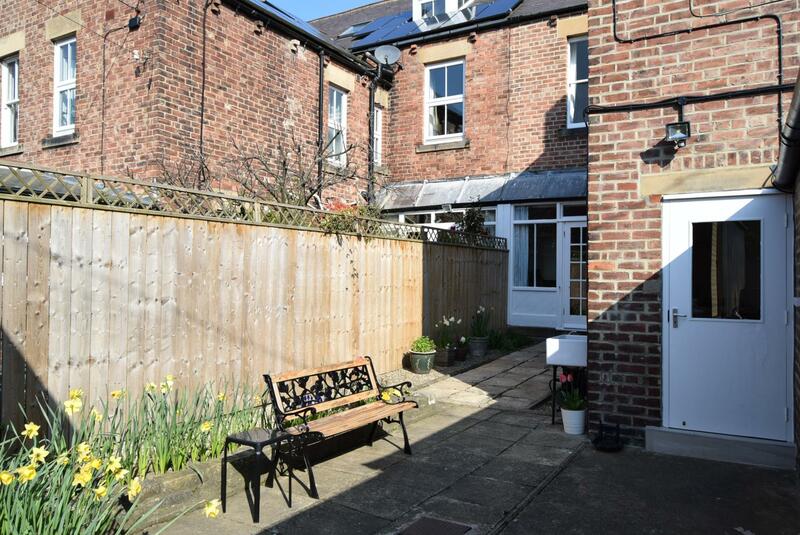 This is an ideal family home within walking distance of the facilities and amenities of Hexham town centre and enjoys gas fired central heating throughout. 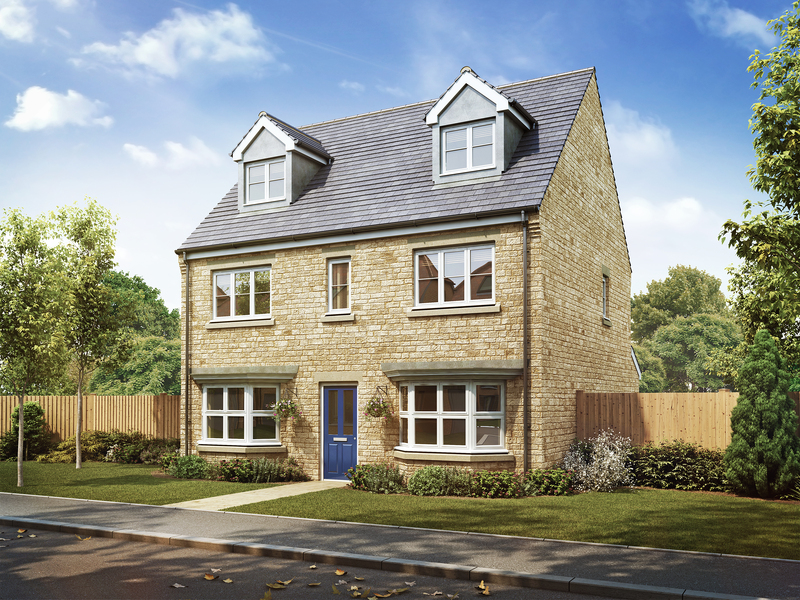 We strongly recommend an internal inspection in order to fully appreciate what is on offer. 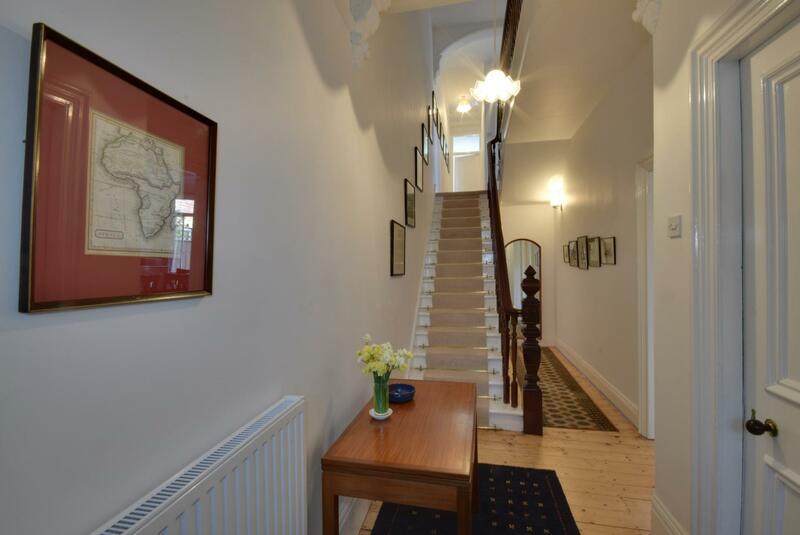 Measuring almost 25 feet long, with ornate staircase to the upper floor with cupboard under. Polished timber flooring and ornate cornice ceiling. 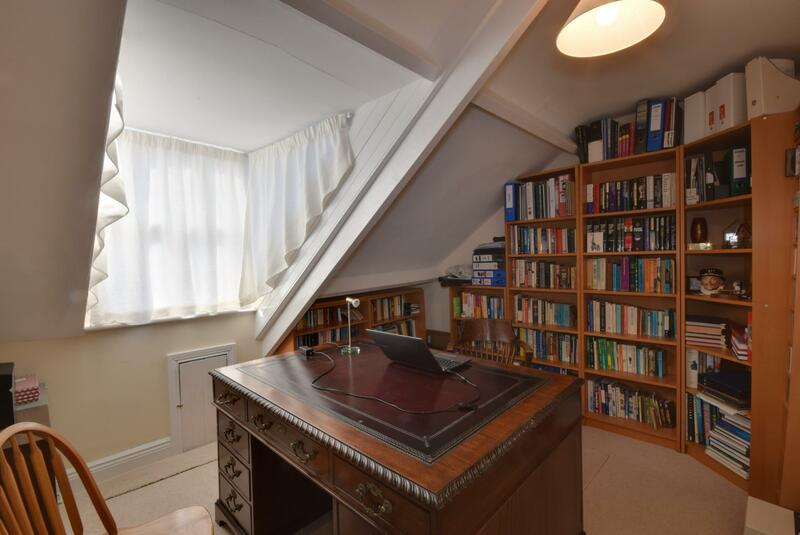 A light and airy room with a bay window to the front. 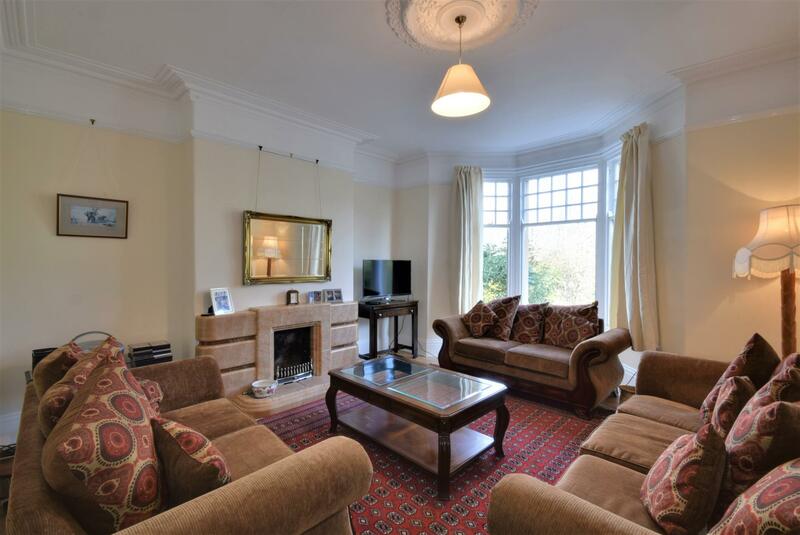 Feature tiled fireplace and hearth incorporating an open fire, ornate cornice ceiling, ceiling rose and polished timber floor. 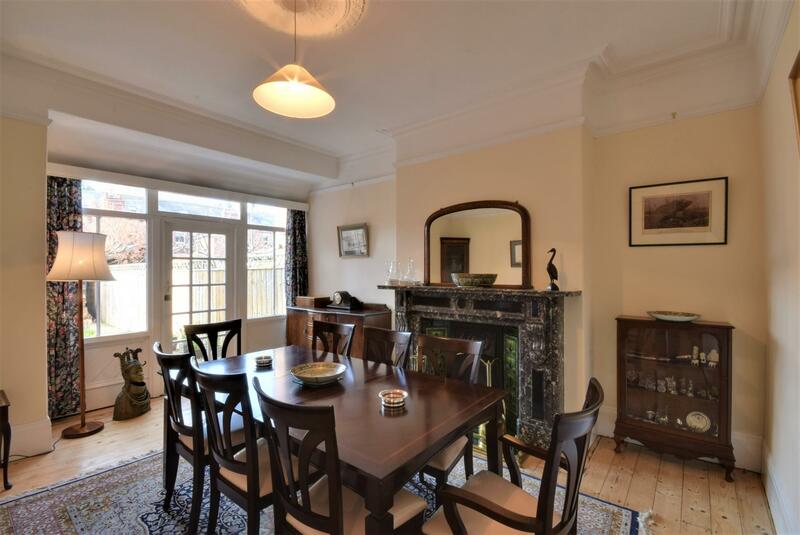 The focal point is the superb black marble fireplace with tiled insets and hearth, ornate cornice ceiling, ceiling rose, polished timber flooring, fifteen light door to the rear garden. 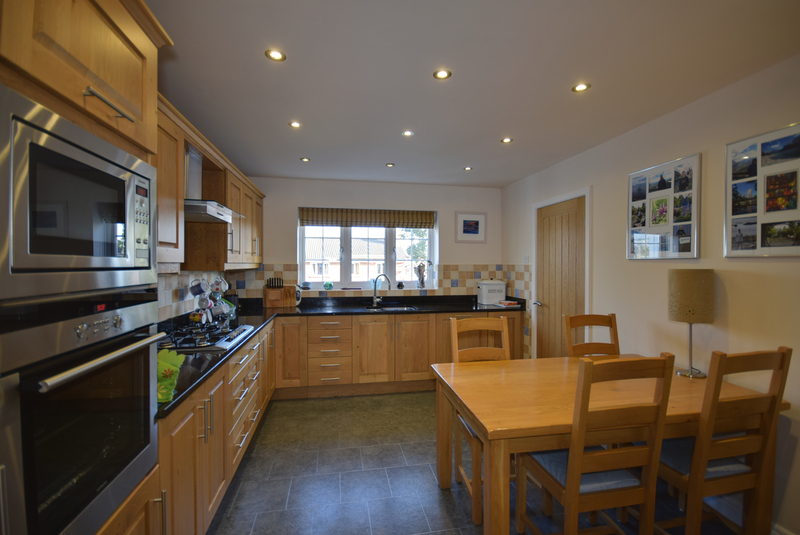 A spacious family sized kitchen with fitted wall and floor units, worktops incorporating a one and a half ceramic sink, single drainer with mixer tap over and plumbing for dishwasher. The Rangemaster style cooker with five ring gas hob and double ovens is included in the sale. Part polished timber flooring and polished ceramic tiled flooring with a very spacious breakfasting area. 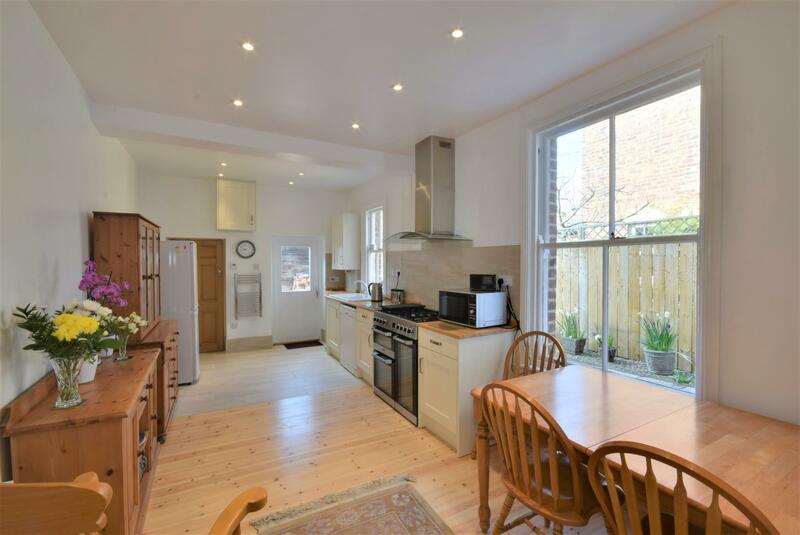 With fitted shelving, worktops, plumbing for washing machine and tiled splash back. Free standing roll top bath, quadrant shower unit, pedestal wash hand basin, high level WC, tiled splash back and ceramic tiled flooring. An additional high level WC. Ornate staircase to second floor. 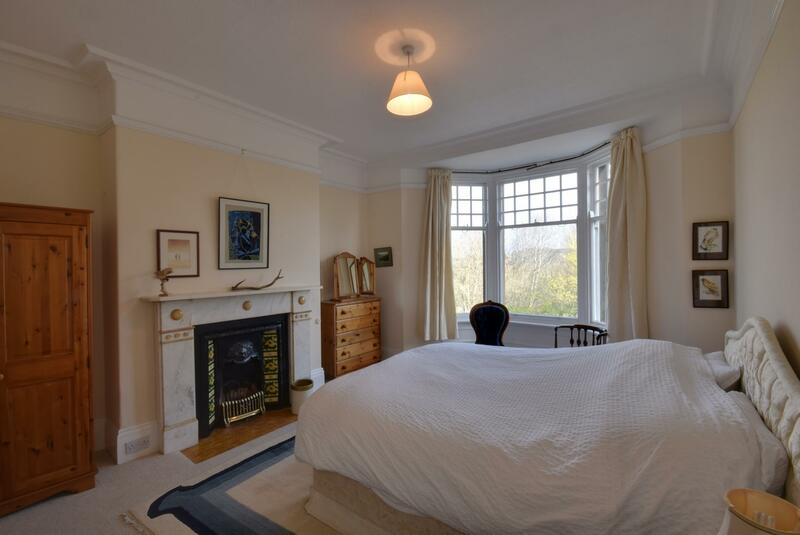 Bay window to the front, the focal point is the white marble fireplace with tiled insets and hearth and an ornate cornice ceiling. 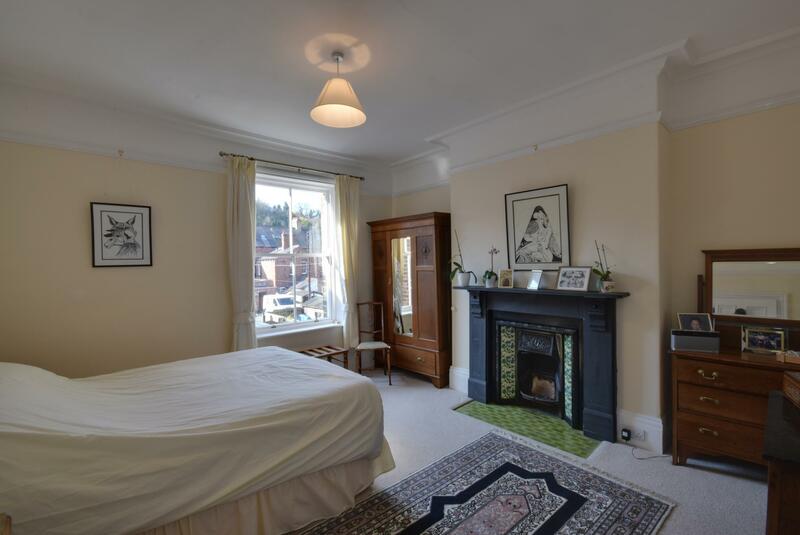 Original slate fireplace with tiled insets and hearth and an ornate cornice ceiling. 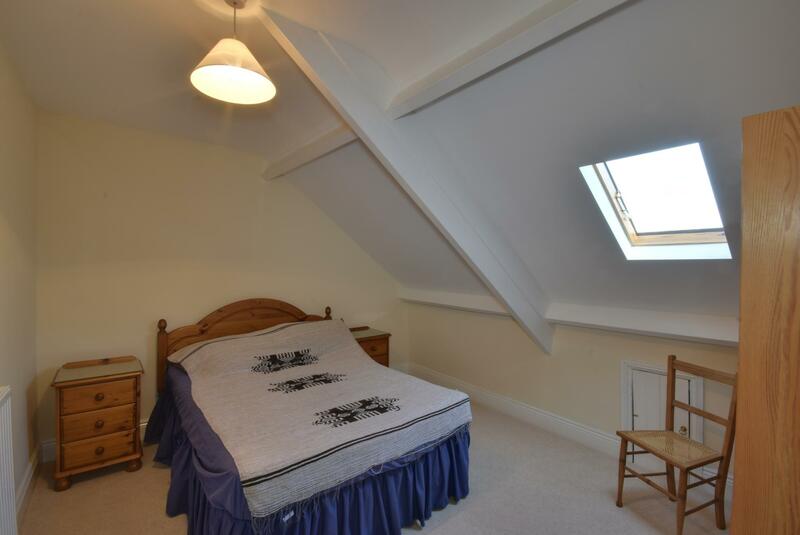 Dormer window to the rear. Currently used as a home office. Quadrant shower unit, pedestal wash hand basin and low level WC. 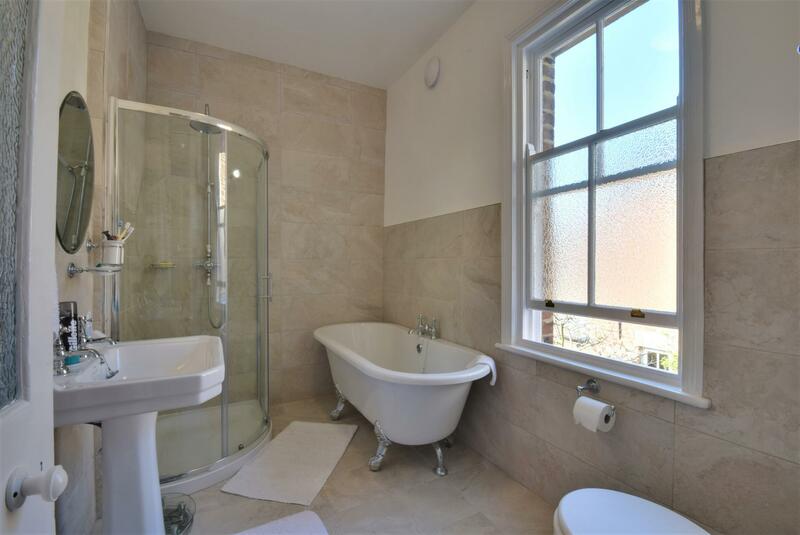 Fully tiled walls and ceramic tiled floor with a chrome heated towel rail. Timber built. Power connected. Additional parking space for one car in front. 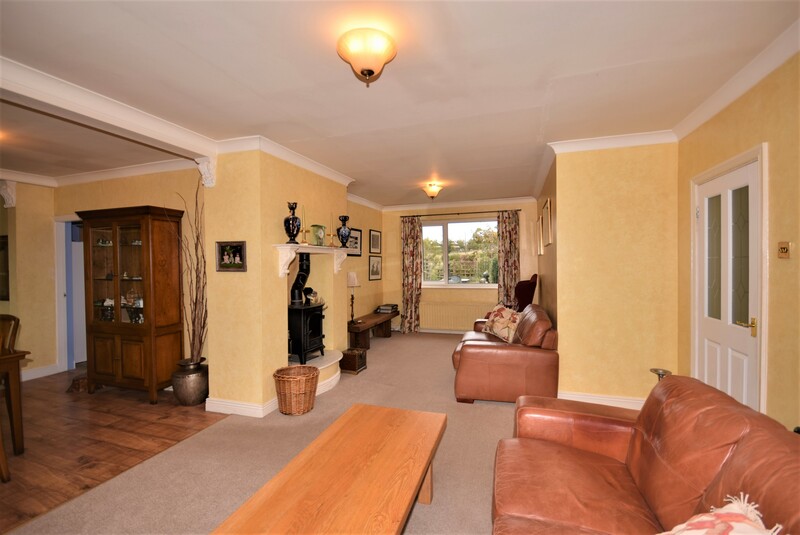 To the front and rear are delightful and large patio gardens. The front is a formal area with a patio bordered by bushes, shrubs and flowers. To the rear is an enclosed patio garden surrounded by high fencing with an ample sitting area and flower bed. 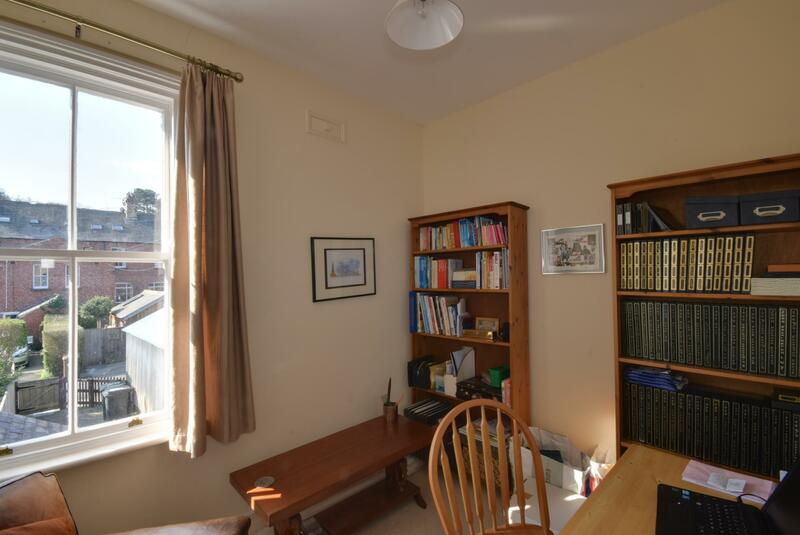 The rear enjoys a high degree of privacy and a southerly sheltered aspect. Gardeners outside tap and belfast sink. All fitted carpets are included in the sale.